I once saw a picture of my great-great-grandfather shaving and the tool he was holding in that image could not be giving away for free in this digital age. With modern science came advances in shaving razors and electric shavers. Nowadays, both men and women do need to shave different parts of the body. For a guy, the need to keep facial hairs neatly trimmed or eliminated is not as easy as it sounds. Most women have more body parts to shave than I care to list in this post of the disposable razors one can buy at a drugstore or online. What exactly is a Disposable Razor? A disposable razor is simply a shaving tool that can be used a few times and then thrown away accordingly. How often you can use the razor before throwing it away will depend on the sharpness of the blades, the design of the handle, and how often you shave. 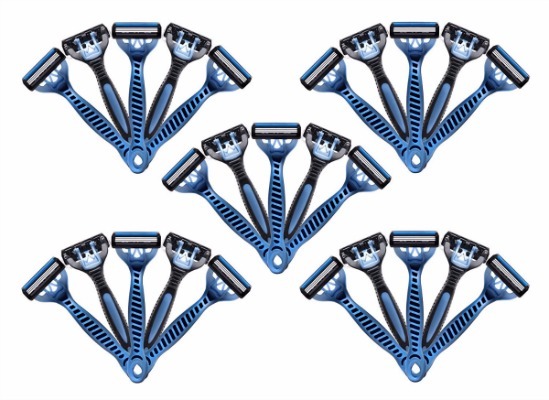 There are dozens of variations for men’s disposable razors, and the ones designed specifically for use by women have just as many different design configurations. A disposable razor can deliver as comfortably a close shave as an electric shaver or straight razor. 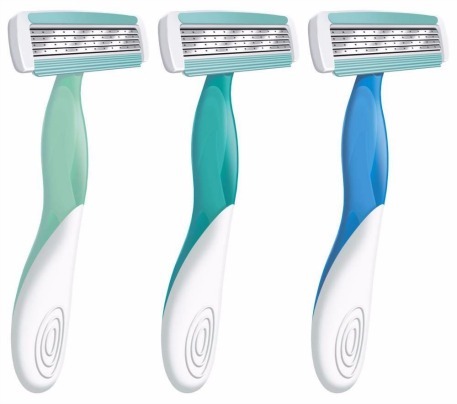 To make it easier to read and serve the different segment of the population, this analysis of the top disposable razor brands is divided into two sections, one geared towards the razors for men and the other detailing the disposable razor products women can use to shave different areas of the body. With so many shaving products for women and men to go through, I had to make a judgment call as to which item to include in this evaluation. For the razors for men that are disposable, the assessed products are derived from my many years of shaving on a daily basis. I have tried dozens of different razors and the included products should serve the needs of both a novice shaver and guys with more experience in ways to get rid of facial hairs. The three most prominent disposable razors are made by Gillette, Bic, and Schick. The disposable razors found in the women’s section came from the feedback and opinion of my girlfriend with input from female office staff members. I have tried to present disposable razors any lady would be comfortable using to remove unwanted hairs from different parts of her body. Gillette is the dominant player in this niche market and they have several different style disposable razors one can buy online, but I choose to evaluate this one because it is reasonably priced, and you can get one with replacement blade cartridges to last you months. The Gillette Mach3 turbo men’s razor uses three sharp blades in each cartridge, which enhances the anti-friction ability to take care of most stubbles with no problem at all. I have used this product in the past, and it can help anyone get a comfortable close shave with no irritation at all. Somehow, this razor is also able to handle long hairs, since it is set up like a precision trimmer. Included in the design is a comfort guard to ensure the razor makes the right contact with your skin without causing any cuts. 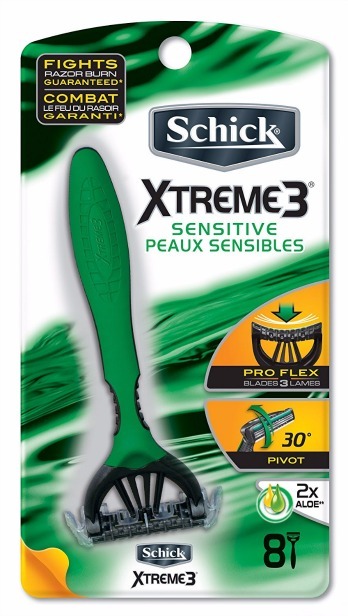 The Schick Xtreme3 is a disposable razor that is marketed for use by men with sensitive skin, which also means those with normal skin can use it effectively to get the most comfortable shave. It uses a triple blade design to get rid of stubbles quickly. The head of this disposable razor from Schick is designed to pivot, which gives it the ability to follow the contours of the face of the user and can create the closest shave any man would want. You can easily rinse off any debris to keep it looking like new. 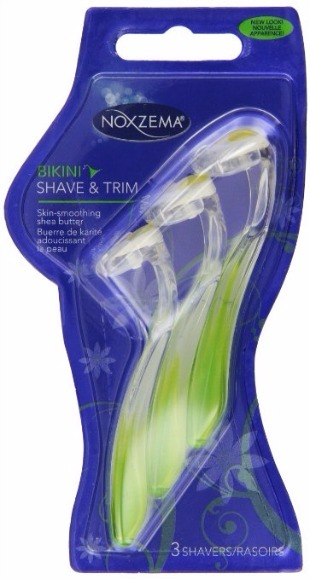 The ergonomic handle makes it a perfect razor for both men and women. It has lubricating strips that are infused with Aloe and Vitamin E, which means increased protection for your skin against irritation both during and after shaving. There are mainly two types of disposable razors one can find in the marketplace. Although there might be differences in the features from brand to brand, the types of durable disposable razors for shaving body hairs can be broken into two parts. This type of razor comes as a single unit without any room for blade replacements or adjustments of the way the shaving heads interacts with your face or body. Most will come with single blades and can be used for several shaves before throwing it away after the dullness of the blade. On the positive side, they tend to be cheaper, but they have a shorter lifespan. The beauty about this type of disposable razor is the flexibility built-in, which usually leads to better shaving experience and longer use period. The elite brands will have heads that accept replacement blades in the form of cartridges. The handle of adjustable disposable razors will be sturdier. The fact that you can change the blade cartridge once it becomes dull and unresponsive to your growing stubble makes it popular with younger men just getting into the shaving routine. The well-made shaving products will come with a pivoting head that moves based on the contours of your face and body. It will cost you more than the single unit version, but the blades found in this type are usually sharper and more durable, and each blade cartridge should last through dozens of shaves depending on the thickness of the hairs on your body. I once read a Bic Flex 3 blog post that said this is the ultimate disposable razor to be used by men looking for the smoothest close shave. The ergonomic handle is made possible because of the use of a rubber grip material, which ensures easy control as you get rid of your stubble. It has a pivoting head that contains three sharp blades, and with the aid of the lubricating strip, you’re most likely to enjoy a smoother shaving experience without any irritation. The pivoting head guarantees it will adapt flawlessly to the contours of your face as you shave. Is this one of the supreme disposable razors for men? Absolutely yes! Schick is one of the disposable razor manufacturers with durable shaving products that cater to the needs of both men and women. Each razor contains five sharp blades within the head to ensure easy elimination of the unwanted hairs. The manufacturer also claims this razor is able to moisturize during and after shaving for that silky smooth look. The use of rubber grip materials in the handle makes it easier to handle during your shaving session. I once found a new one in the bathroom of a lady friend and I used it. As a guy, it was more comfortable than I thought it would be, but please ask for permission before using what does not belong to you. While my skin felt soft from shaving with this razor, it created trust issues from then on. 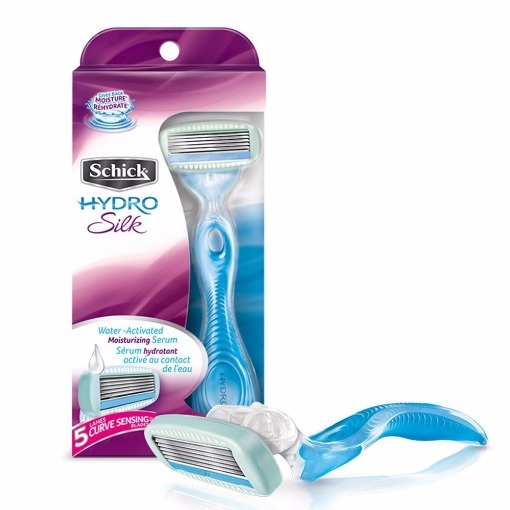 The Schick hydro silk razor is designed for a woman to use to get rid of unwanted body hairs effortlessly, but can also do a good job shaving a guy’s stubble. The thing about a disposable razor is that you can take it almost anywhere you go. The fact that you can use it to get rid of hairs you don’t want on your face or body cannot be underestimated. The following tips can apply to both men and women. A – I have found that disposable razor blades will deteriorate faster after your first shave. If you have a unit that uses replacement blade cartridges, be wise and keep extras in your medicine or bathroom cabinet. I lost count of how many times I discovered when it was too late that my used disposable razor blade was so dull it could not effectively remove my facial hairs. It is not only annoying shave with a dull razor blade but also irritating as well. B – Most disposable razors are designed to be used once or several times and then disposed of accordingly. I have come across guys that use one continuously until irritation bumps and red marks show up on their facial skin. C – If you want the blades in your disposable razor to remain sharp longer wipe off any water or liquid residue after each shave. Water is a corroding agent and can affect the sharpness of any metal object negatively within a short period of time. D – I wish I could tell you which disposable razor item would work best for your skin. It is one of those shaving products that calls for personal testing to discover the razor that removes hairs from unwanted body parts without any irritation or fuss. My current girlfriend has a bad habit of using my disposable razor, even thou, it is clearly labeled as for men on the packaging. She claims it does a better job of removing stubborn hairs from her private part. I have been told in the past by other women that men’s disposable razors have sharper blades than those made for women. This is probably one of the best-selling disposable razors for ladies one can buy online or at your neighborhood drugstore. The Gillette Venus razor contains three sharp blades that are surrounded by protective cushions for irritation-free shaving. The embedded strip in this razor contains lubricants with an infusion of Aloe, which allows it to glide effortlessly over your curvy skin as it removes the unwanted hairs. The pivoting head of the Gillette Venus disposable razor ensures it can reach sensitive and hard to get to areas of your body to remove the bushy hairs. It is probably the most travel-friendly disposable razor any woman can use to get a close shave for that ultimate beach-ready skin look. While Bic is famous for making disposable razors for men, they also manufacture specialized disposable razors for women. The Bic Soleil Bella disposable razor is designed to adjust to a woman’s curves. The embedded moisture strip is infused with coconut milk, which gives it the power to soothe the body as you shave. This women’s razor from Bic has a pivoting head and comes with a rubberized handle with a comfortable grip, which makes it quite easy to shave off unwanted hairs on your body. There is no restriction as to which areas of your body you can use this razor on, which means it can be used effectively to get rid of hairs in private places you do not want to look bushy.